A Little Book Filled With Tremendous Insight. The wisdom and Truth shared here reveals a means by which one is able to comprehend the continuing PRESENCE OF PERFECTION. 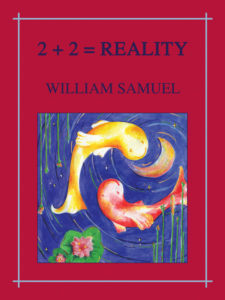 2 + 2 = REALITY shines a light on understanding this Self, the very one reading these words, and The Divine Principle, God. You will discover how God, being infinite Awareness, All Encompassing Love, includes the farthest galaxies to the individual personalities identifying as 'me' to the tiniest grain of sand or nuclear particle. on Amazon. Kindle and Print version available.